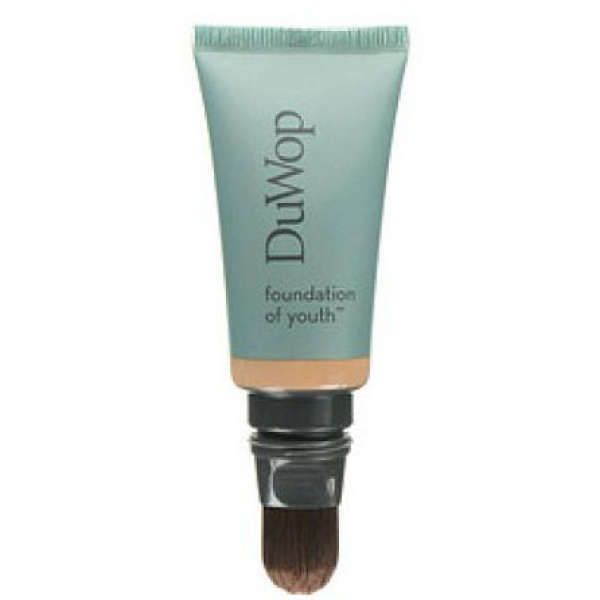 This Foundation of Youth from DuWop is a uniquely lightweight, anti-aging foundation that has instant visible effects on skin texture. It plumps fine lines and restores the supple firmness that environmental pollutants, stress and time can take away. 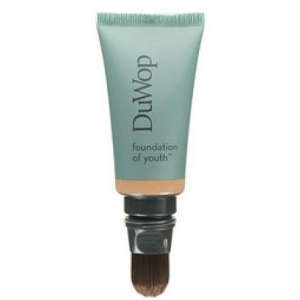 Foundation of Youth contains an anti-oxidant cocktail of Matrixyl 3000 and marine-based emollients that hydrate and firm the skin. Gently squeeze tube until the built-in applicator brush is moistened with Foundation. Sweep the foundation over your face, blending with the brush in even strokes. Foundation of Youth is paraben-free, oil-free, vegan and uses an all natural preservative system derived from Japanese honeysuckle.